Business marketers know the power of web and mobile presence, but many struggle to find ways to reach a greater audience with clear, precise and relevant conversation-worthy content. Besides having a range of direct-to-consumer channels of which to raise brand awareness, these marketers need better techniques and technologies for simplified direct communication. Since content creation is the surefire way to bring relevant messages to your audience online, streamlining and freeing-up communication across many channels is the plan that expedites it. We promote a concept called “CODE” or “create once, distribute everywhere” (some publishers use the term COPE). By adhering to the CODE, your business can say more, do more and ultimately reach more consumers without overspending web marketing dollars or overextending internal resources. How do we help clients implement this beneficial create once, distribute everywhere approach? 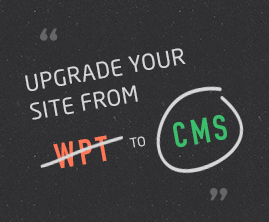 We emphasize upgrading your site from a web publishing tool (WPT) to a content management system CMS). This helps you gather and analyze relevant data to create and distribute robust, dynamic and flexible content in any form on any application at any time. Today it’s about more than publishing web pages. It’s about publishing anywhere your consumers point their devices. We champion technology that allows your business to distribute content as smoothly as possible—from a data model strategically designed to distribute content in a modular way to API set up that enables content publishing on a range of desktops, tablets and handheld devices. Over the last year, NPR’s total page view growth has increased by more than 80%. How did we get that much growth? Our API. The NPR API went live to the public in July 2008 and was designed with the philosophy of Create Once, Publish Everywhere (COPE). Through COPE, NPR has been able to quickly and efficiently distribute content to virtually anywhere, including NPR stations, partners and the general public. The biggest impact that the API has made, however, is with our mobile strategy. The API has enabled NPR product owners to build specialized apps on a wide range of platforms and devices, liberating them from being dependent on custom development to access the content. Through this process, we built our iPhone and iPad apps, mobile sites, open sourced Android app and HTML5 site, some of which were turned around in a matter of weeks. Delivering more than one billion stories a month and serving thousands of product owners, partners, stations and public users, the API has clearly become the centrepiece of the NPR’s digital media and mobile strategy. As CODE is integrated into your web presence, your business gains the ability to reach a greater audience from a single article, blog post, white paper, interactive video or press release because that one message is able to adapt to a wide range of systems, applications and devices. All you have left to do is to create relevant messages that engage your consumers. Inflexion Interactive’s NJ-based marketing team can help. Contact us for C.O.D.E. solutions.